During the winter seasons, of course snow can inhibit our outdoor activities, including taking pictures. However, have no fear! I have a warm and comfy studio that we have decorated for the winter season. In fact, I use this studio all year. To spruce it up for Christmas, I have added a special backdrop in preparation for 2017’s NYC Studio Christmas Sessions! 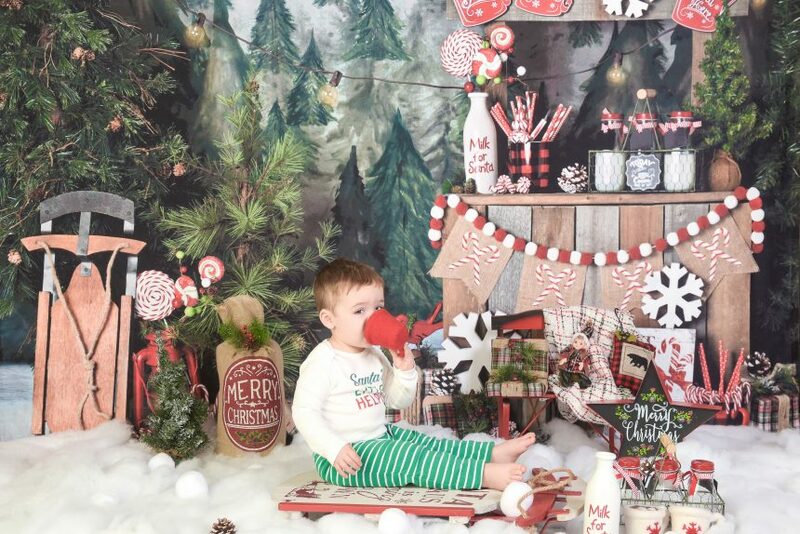 Our backdrop above includes many Christmas-related props and a background that features spruce trees on a snowy mountain. 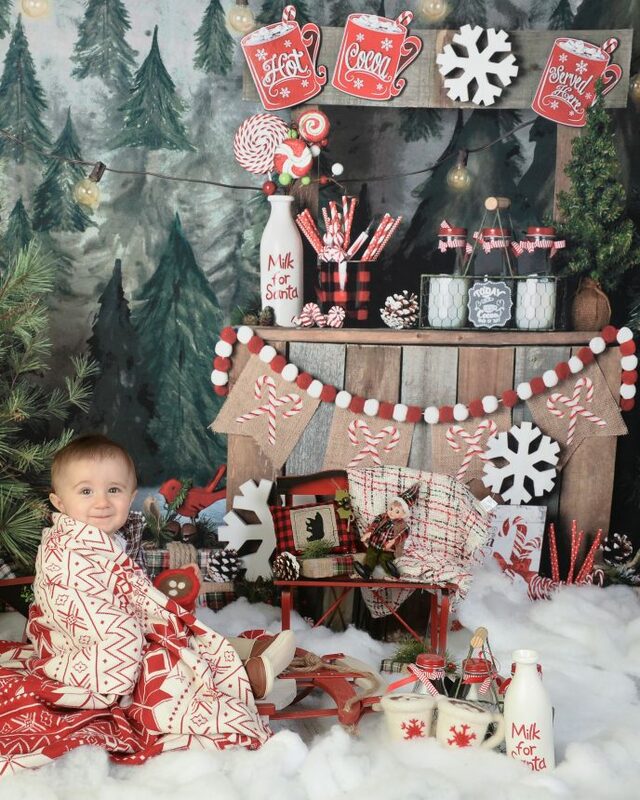 In front of the backdrop, a wooden stand features milk and cookies for Santa, as well as hot chocolate. Of course we included a sleigh, some fluffy snow, and other winter props including snowflakes, a doll, Milk for Santa, and a Christmas star. Of course we don’t want to narrow your choices for what your session looks like! We do have a second backdrop. This backdrop features a very white Christmas! The backdrop has a white fireplace on it, birch logs, a wooden JOY prop, snow covered Christmas trees, and a big comfy chair. 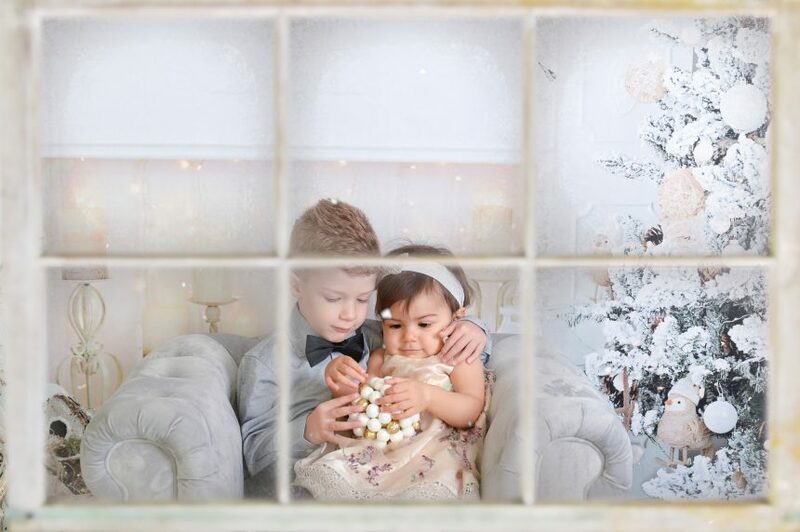 Our white Christmas backdrop is perfect for families who want something other than the traditional Christmas scene. This clean white backdrop gives Christmas a very elegant and modern twist, while still incorporating the Christmas spirit throughout. As you can see, our NYC Studio Christmas Sessions have many, many different options! We have several props that make each session completely customizable. 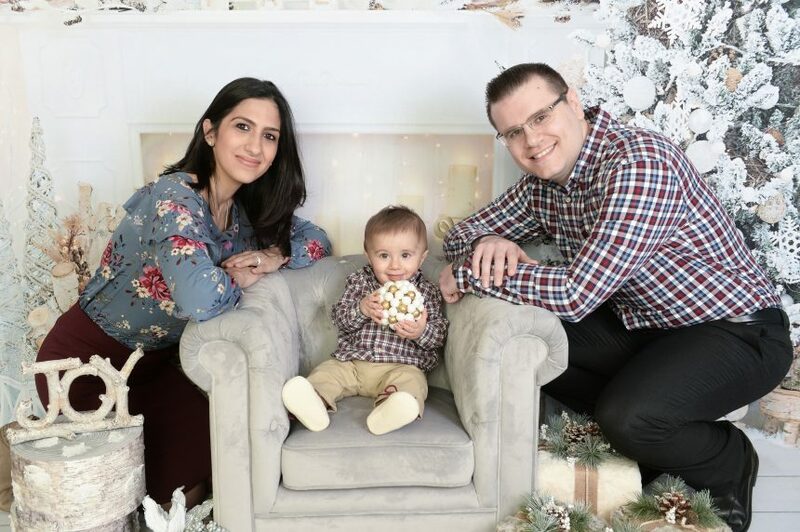 If you’re wanting an extra special touch to your Christmas session, we can also photograph the family or children through a white window while they are sitting comfortably in their chair. To book your Christmas session today, contact me today! We can’t wait to capture the Christmas spirit for you!